Naharkatia (Dibrugarh): History has a long tale to tell and this Buddhist monastery at Namphake village near Naharkatia in Dibrugarh district has been an integral part of the proceedings over the centuries. It has been providing the muchneeded stuff for human being – wisdom and peace. The Namphake Buddhist Monastery was set up in 1850 on the bank of the beautiful Buridihing, one of the major tributaries of the might Brahmaputra, as Tai Phakes migrated to this part of the country from the Howkong valley of Myanmar in the late eighteenth century. 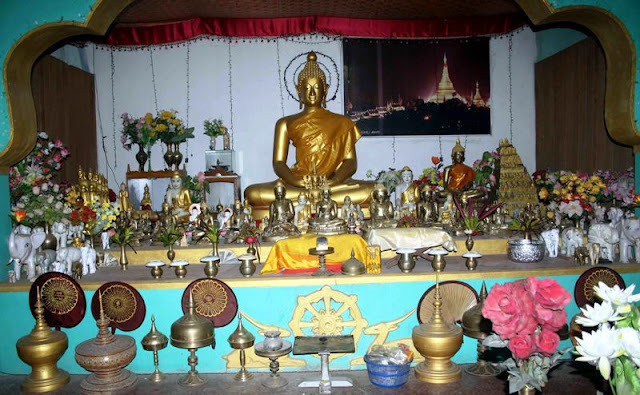 From the manuscripts written on gold and silver plates dating back to the 16th century to one of the oldest Budha statues of the state, it is no less a museum. Besides, it plays a major role in the society as head monk Gyanlal Mahathera is obeyed and respected by the people of the area. That’s why the job of the police is much easier in the area. “We don’t remember police coming in our village. The villagers are peace-loving and do not do anything which can be a threat in the path of peace,” Ngikya Weingken, a villager, told Seven Sisters Post. There are 69 households in the Namphake village which is the largest hamlet of the Namphake community in the state. If any conflict arises, the head monk settles the issue and the verdict is accepted by all. 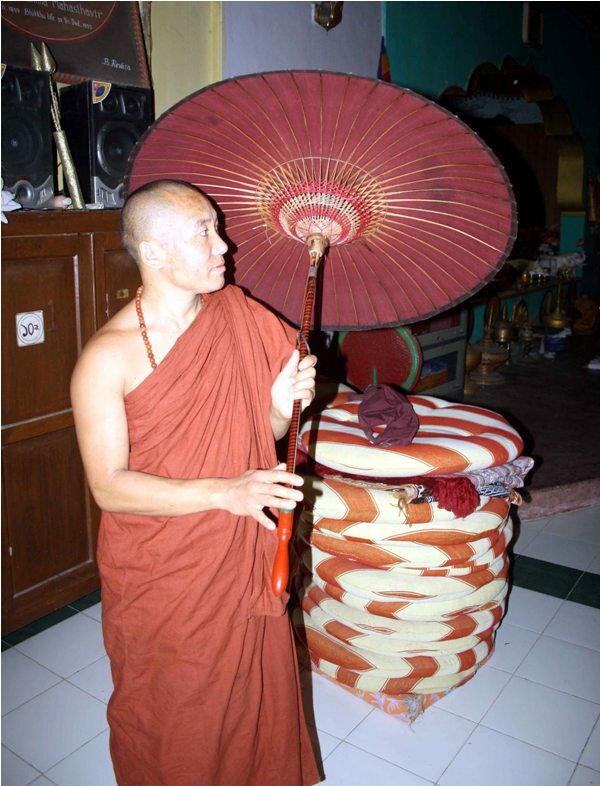 Besides, several examples of the creative side of the monks can be seen as one of the senior monks displayed the craft of martial arts for self-defense with an umbrella. “It is an umbrella when it rains, otherwise it can help you in self-defense. It was made of bamboo and cloth several centuries ago,” said one of the monks, who is popularly known as Saru Bhante. Bhante means religious leader in Tai language. The monastery is home to more than 230 statues of Budha from Thailand, Myanmar and Sri Lanka. “Initially there were two statues when the monastery was established in 1850. Later, monks from different part of the world who had visited the place placed more statues,” Bhante said. Moreover, sitting with the monks on the floor of the monastery with breeze blowing across from the Burhidihing to know one or two things about the culture, tradition and many more may be a priceless moment.